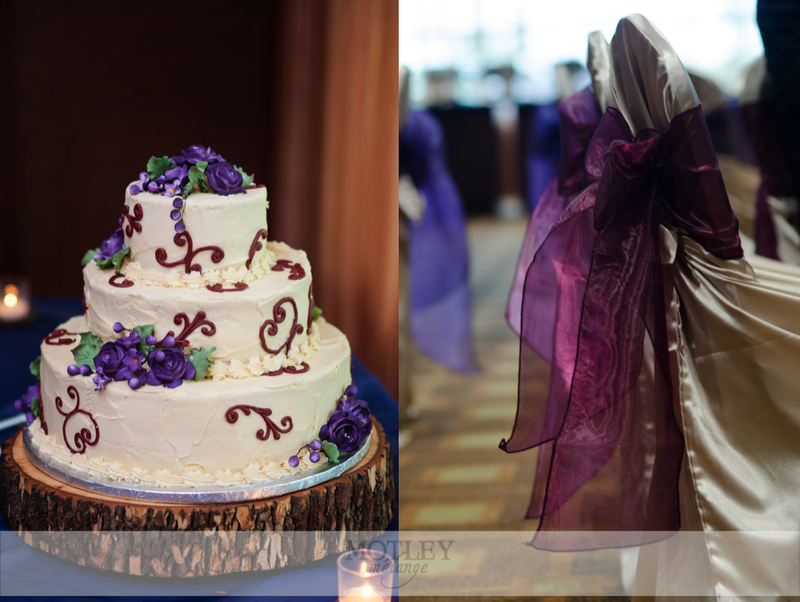 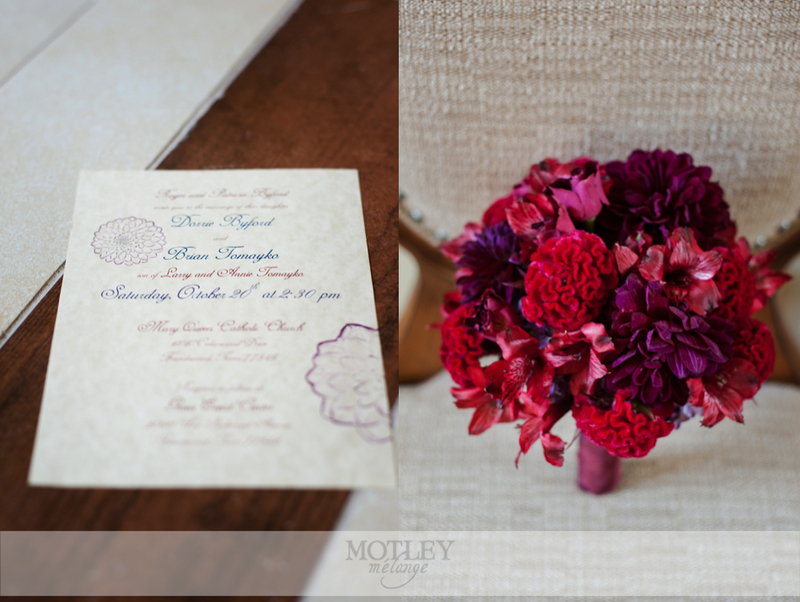 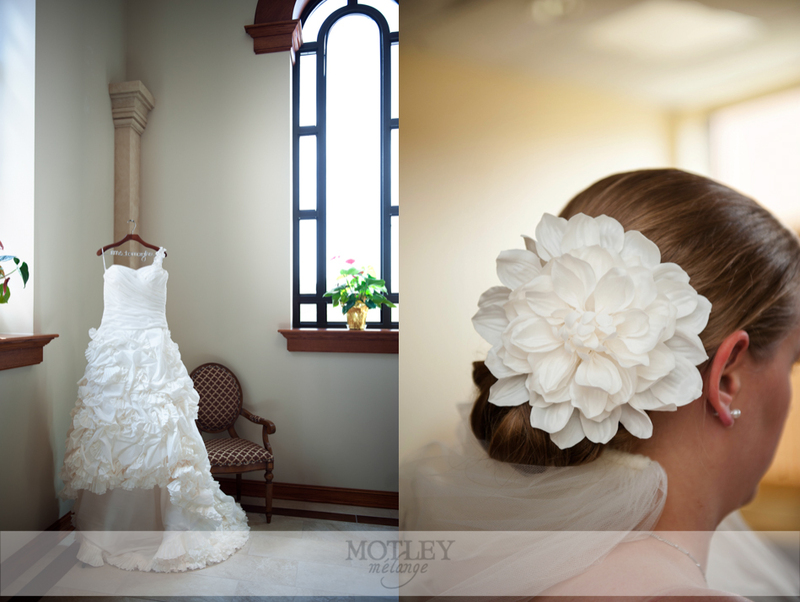 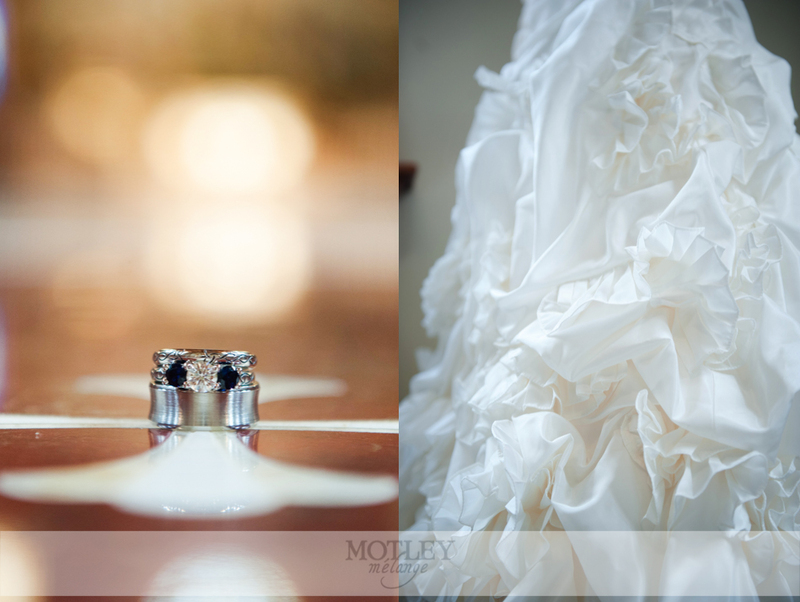 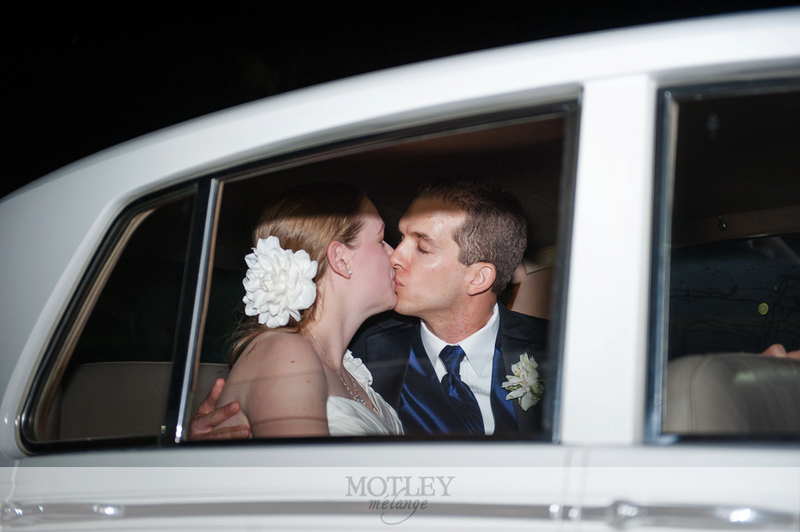 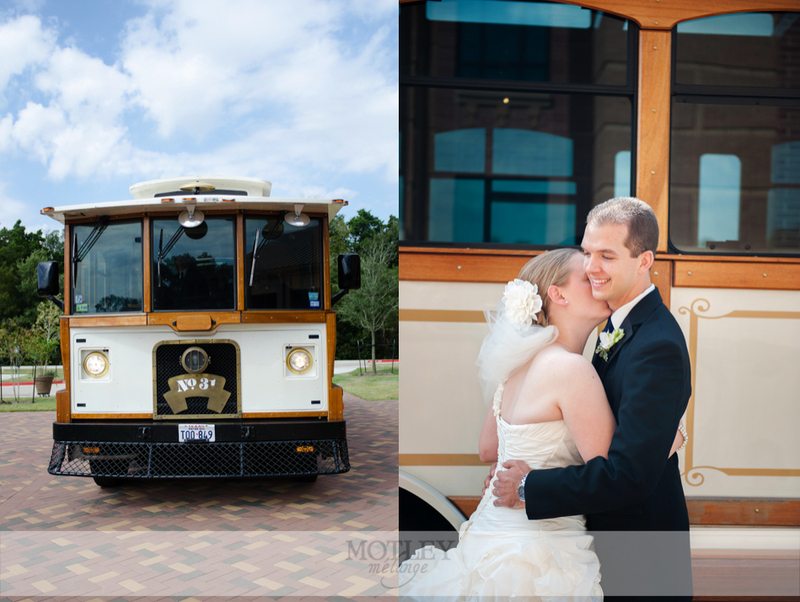 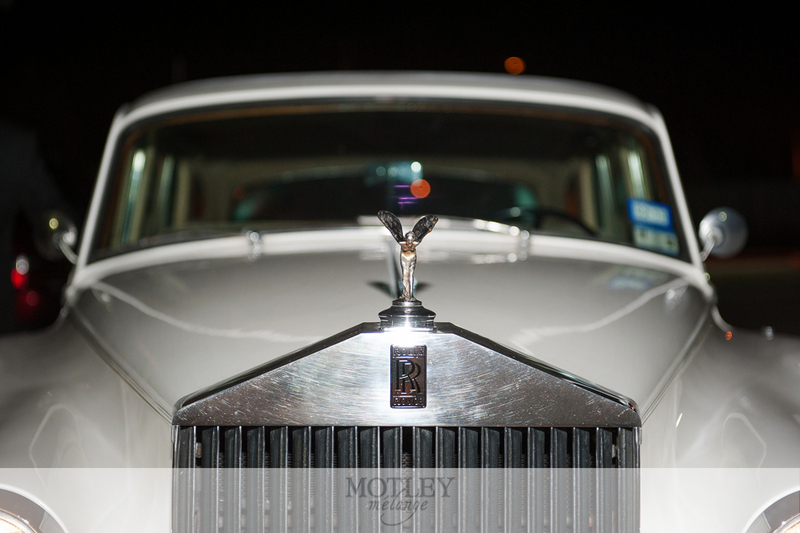 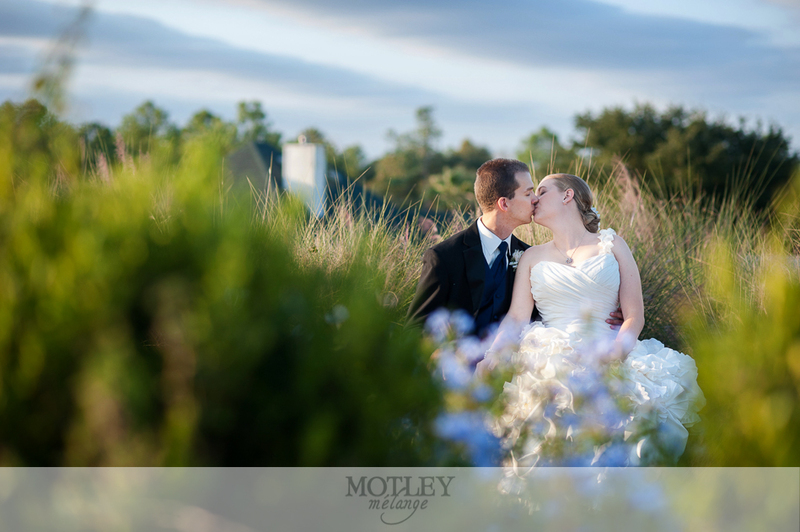 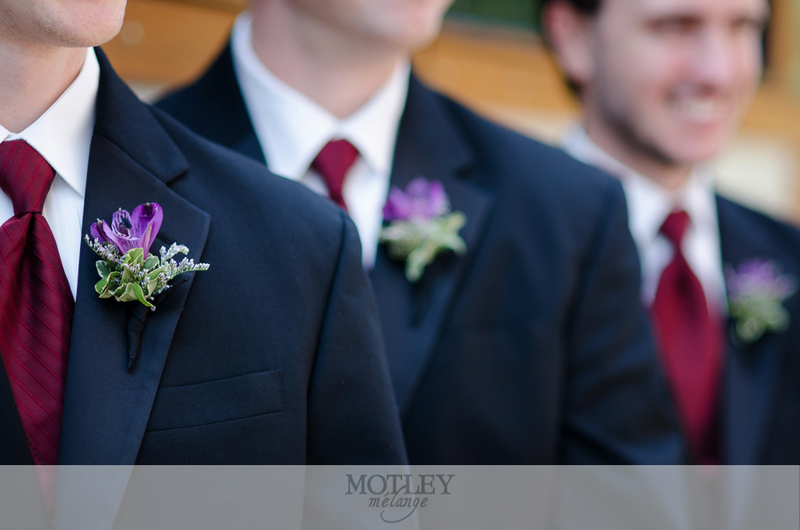 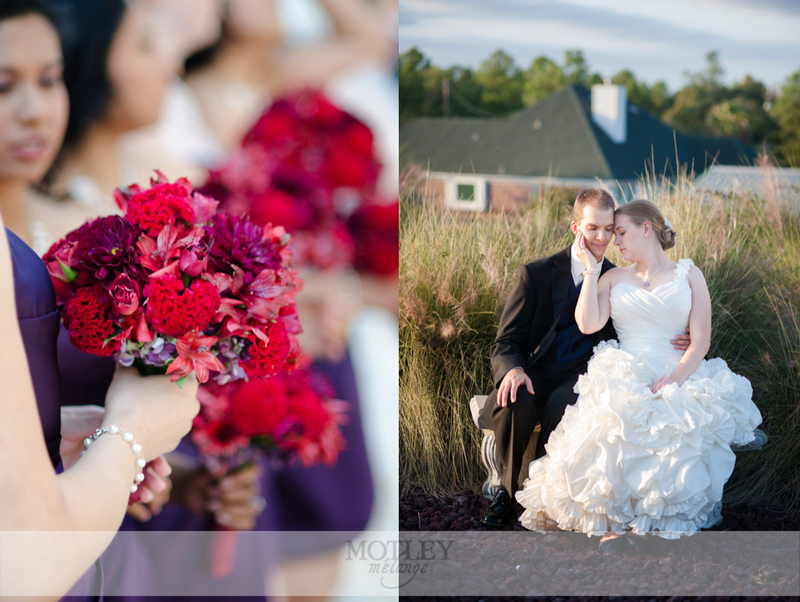 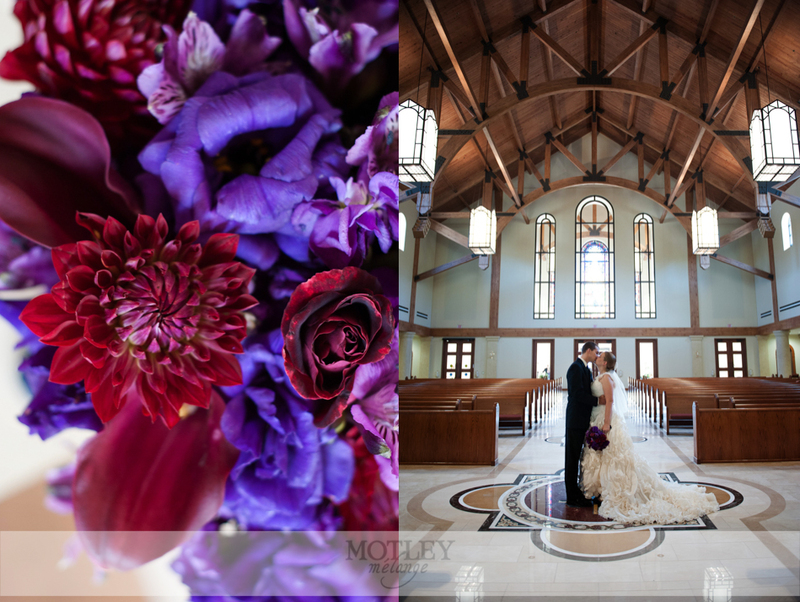 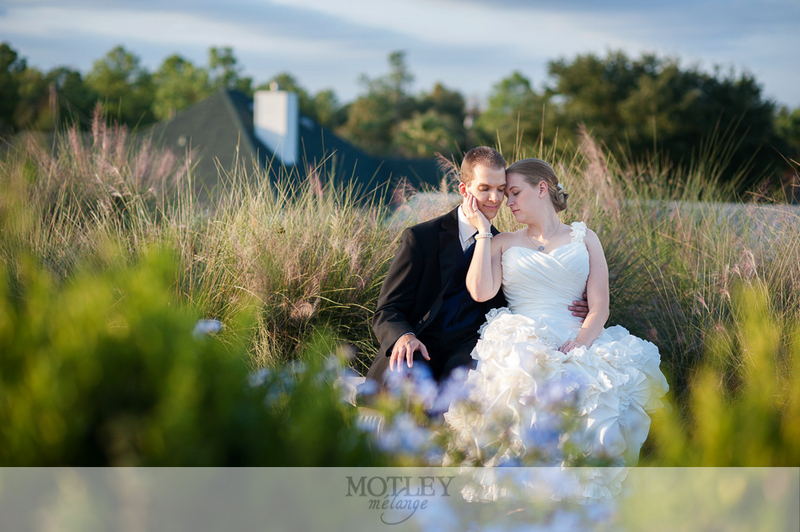 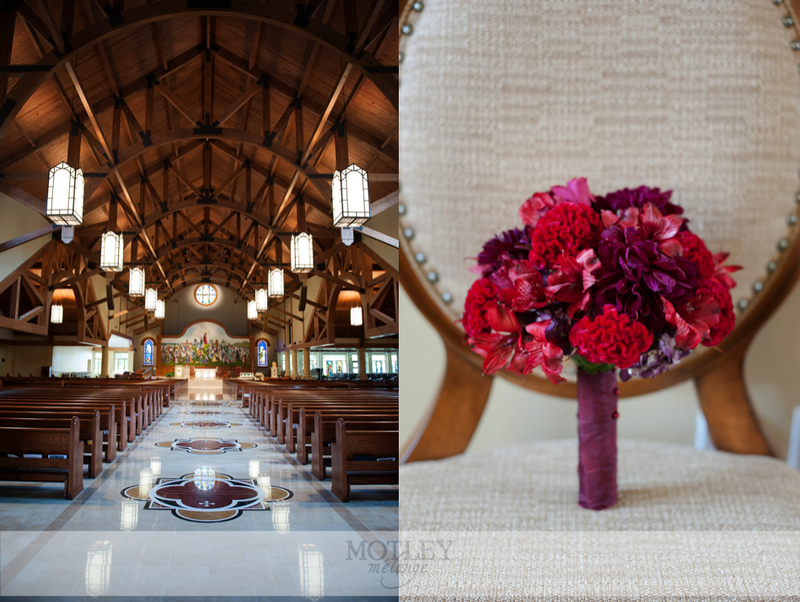 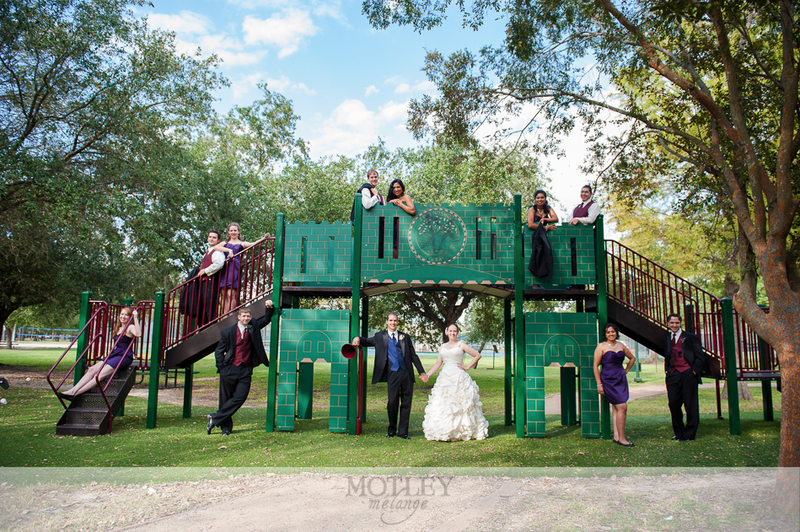 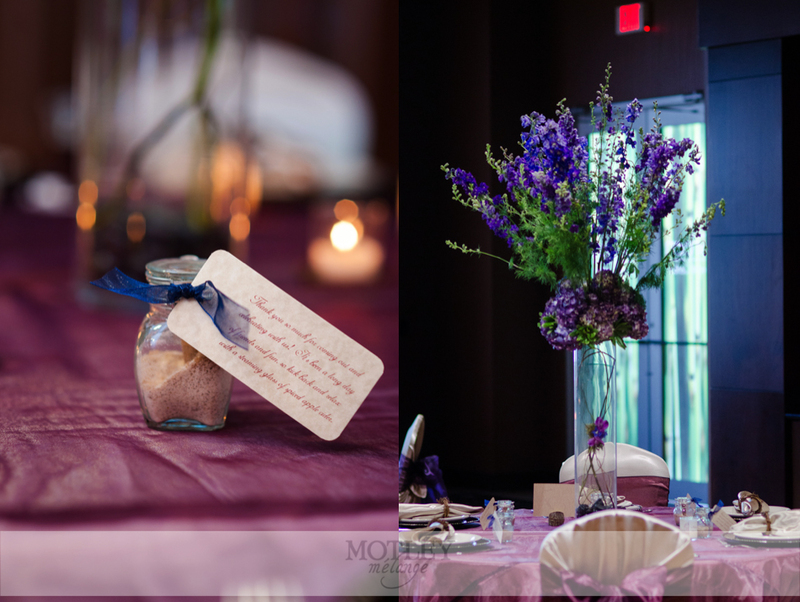 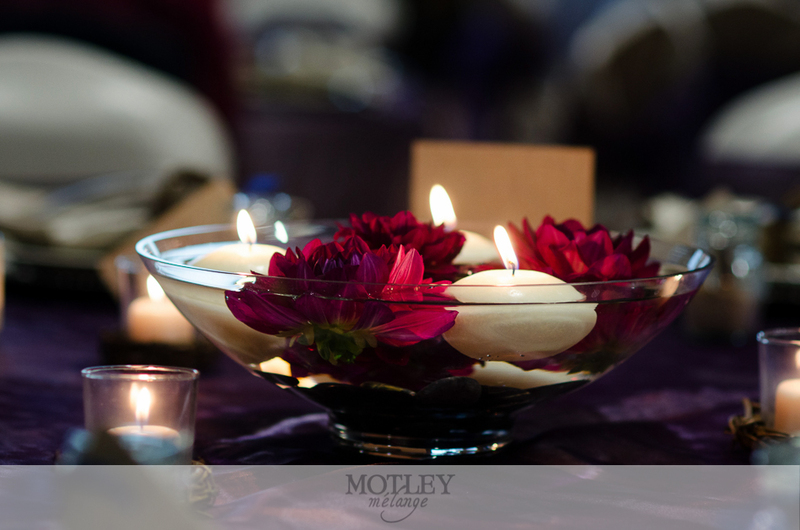 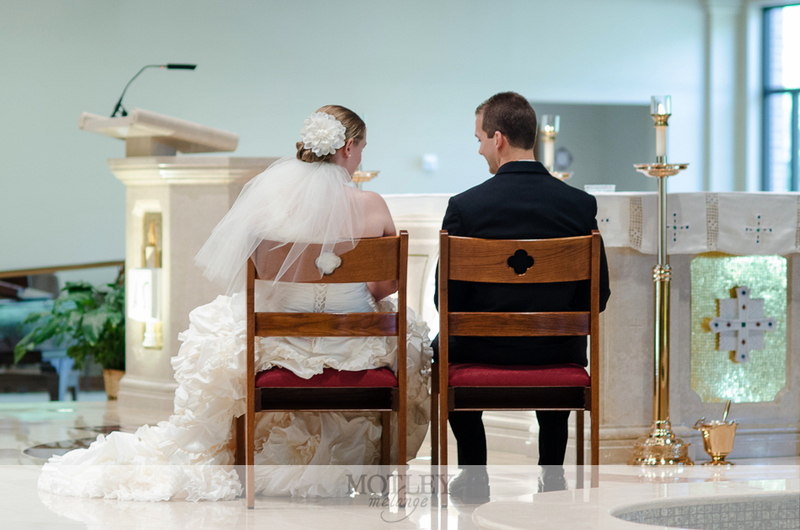 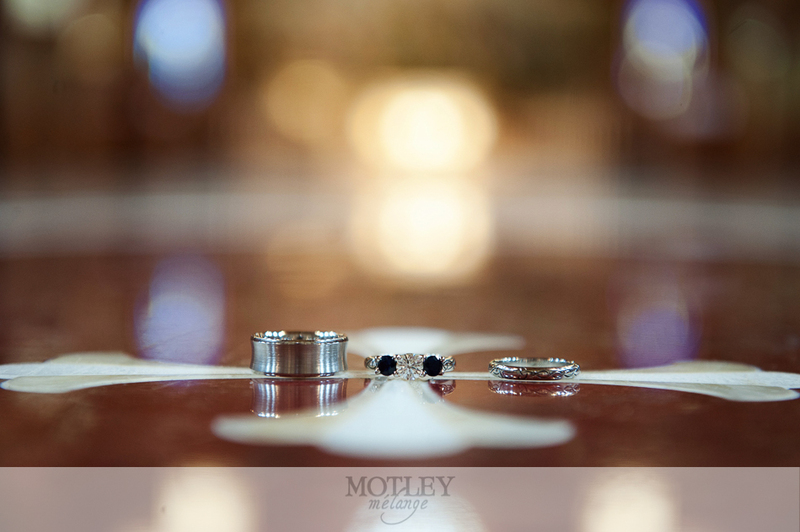 Houston Wedding Photographer: Green Event Center and Mary Queen Catholic Church in Friendswood, TX were both fabulous wedding venues for this couple. 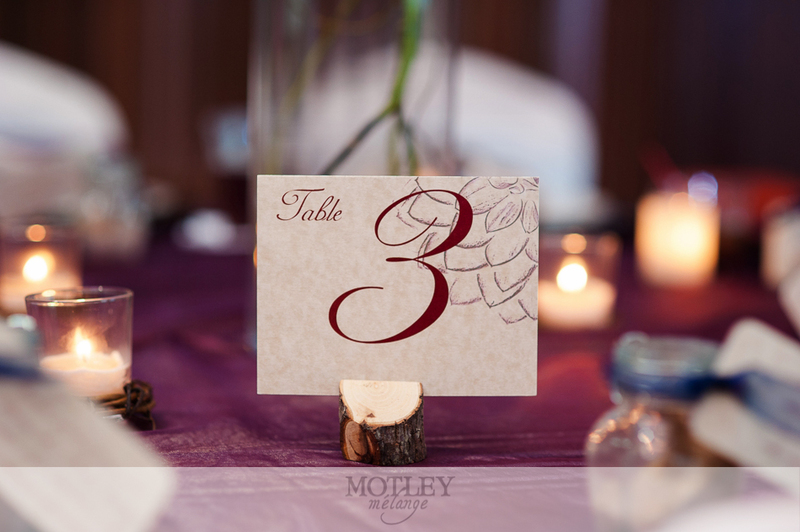 The details for this Houston wedding were all designed and made by the couple from their trademark floral designed invitations to the wooden table sign holders! 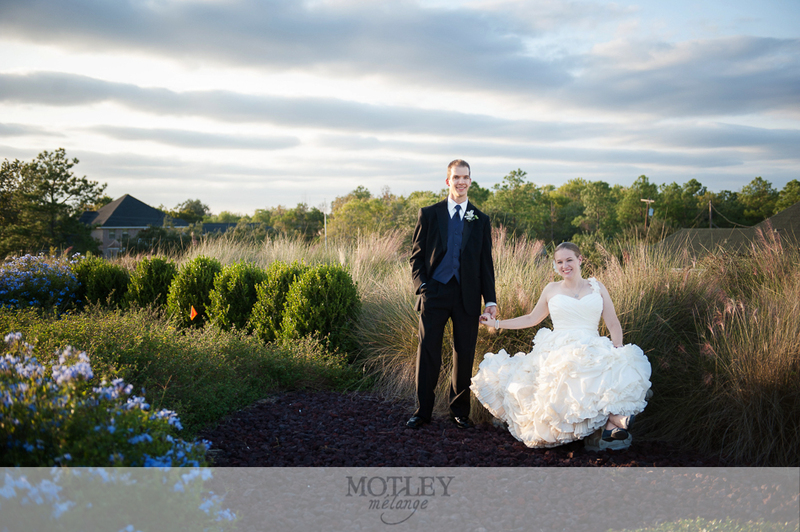 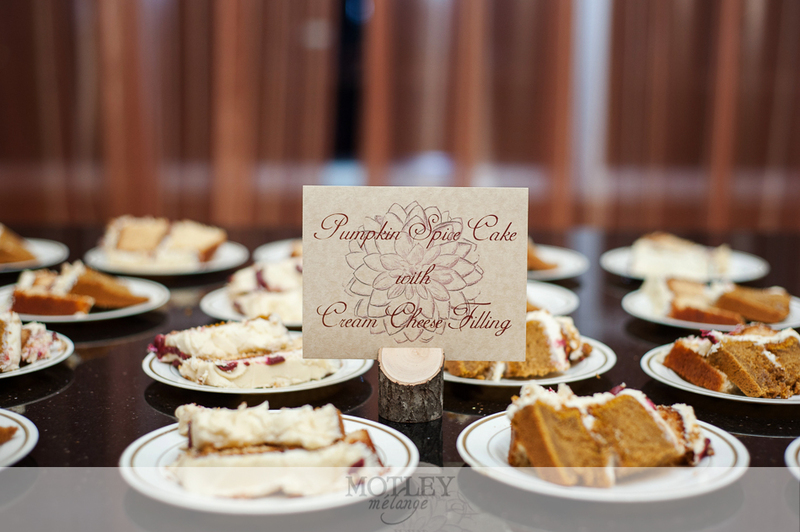 The Green Event Center made a perfect addition to this organic wedding. 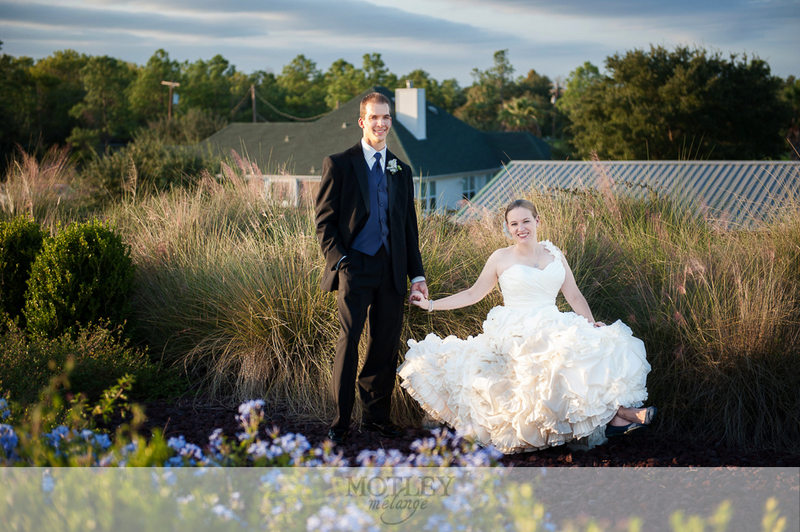 Sporting a rooftop herb garden (which made for some of my favorite sunset bride and groom images) and an enviromentally friendly power system, Green Event Center is the organic bride’s best friend. 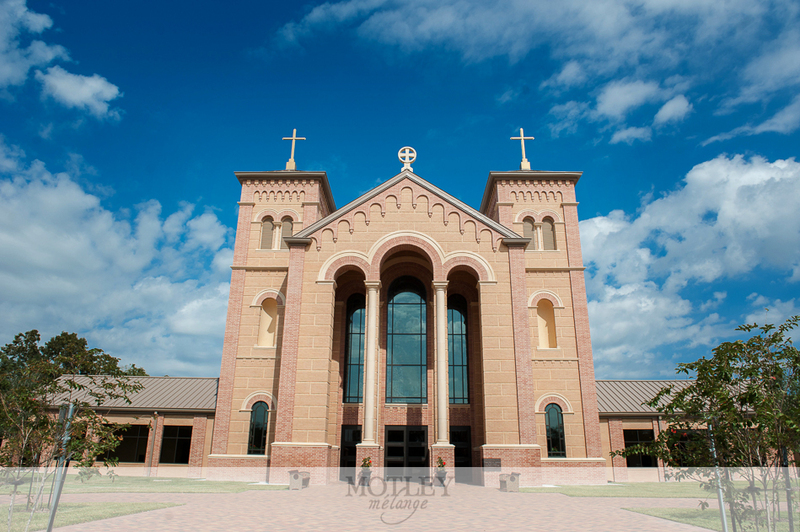 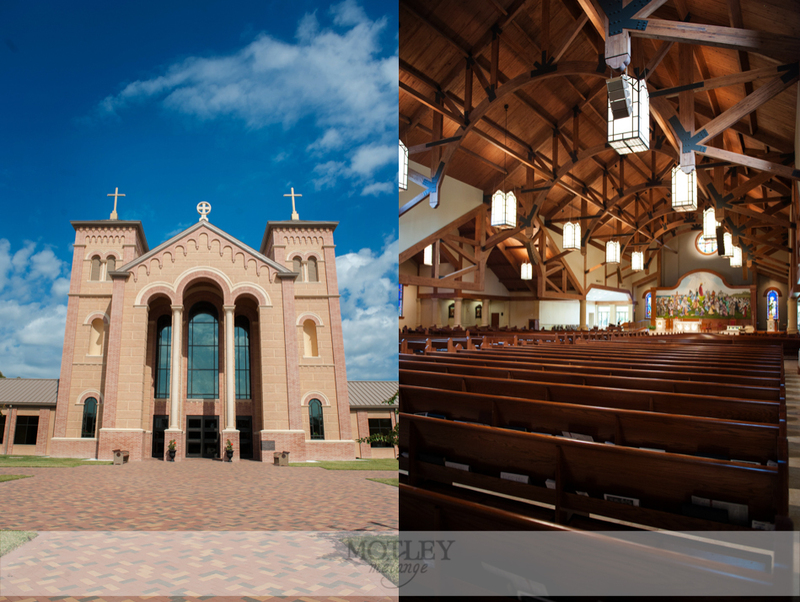 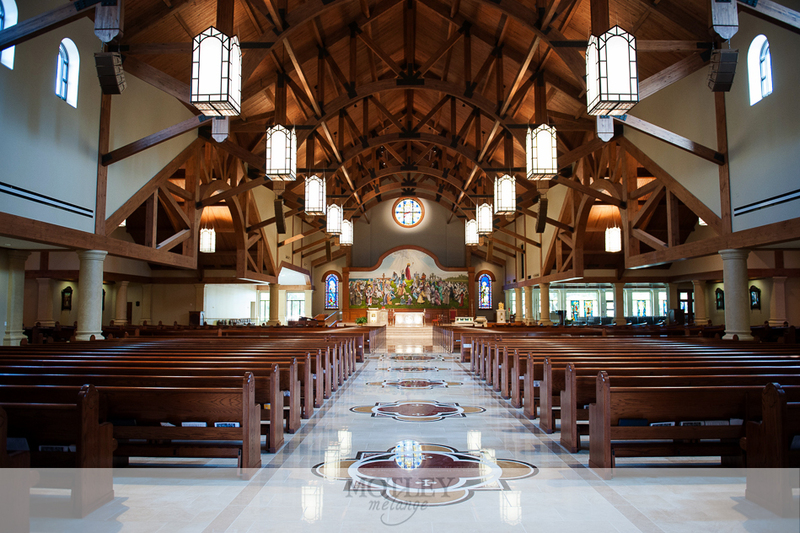 Mary Queen Catholic Church, a stunning venue in Friendswood, showcases cathedral ceilings, gorgeous marble floors and seating for hundreds! 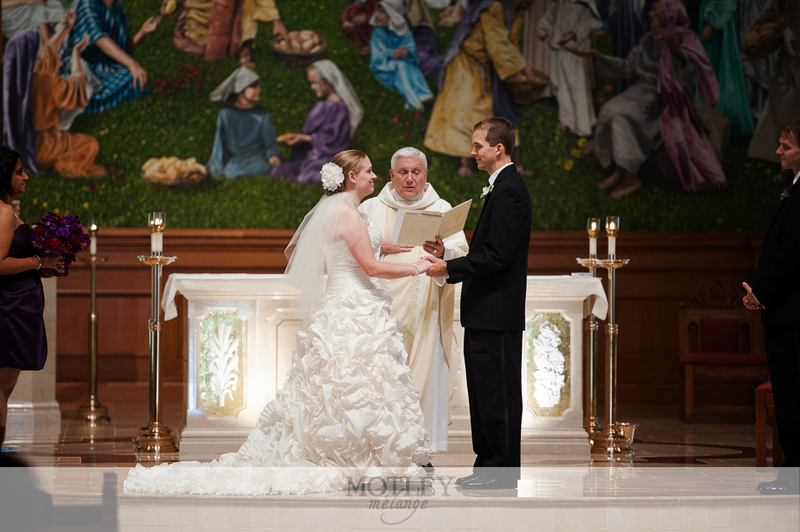 This church was absolutely stunning and provided the perfect spiritual setting that the couple sought after. 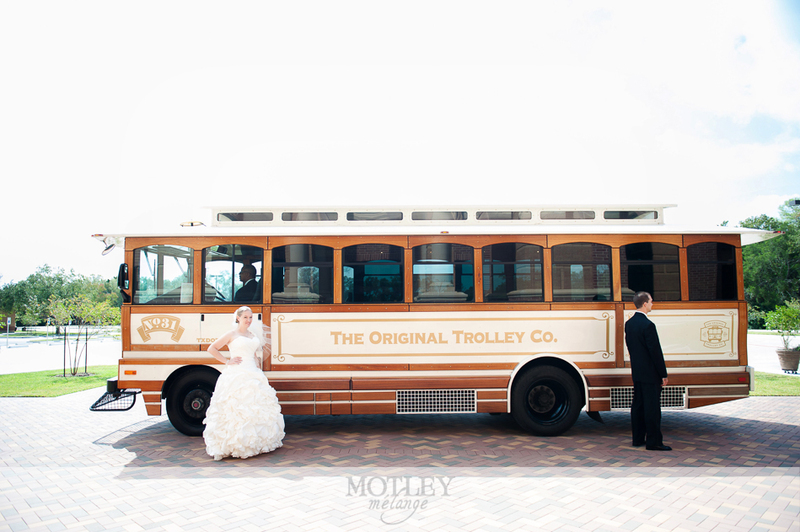 The couple also chose to participate in a first look out by the trolley. 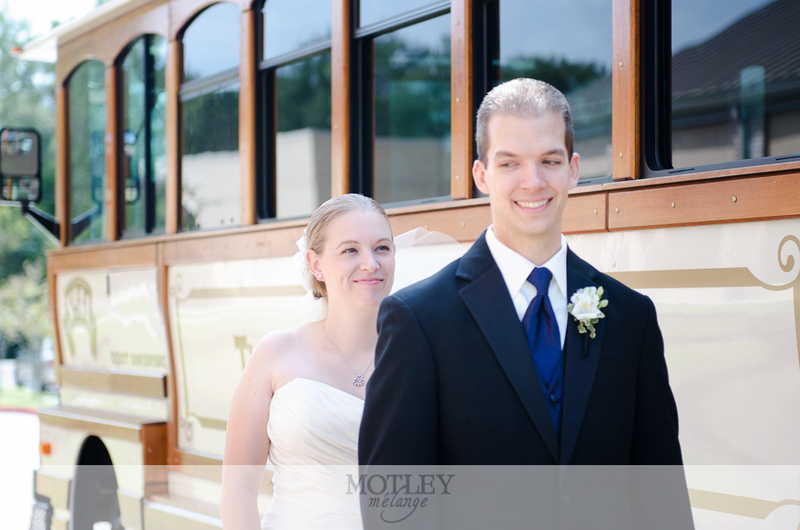 It was such a great moment for Brian to enjoy his fabulous new bride before they met face to face at the alter. 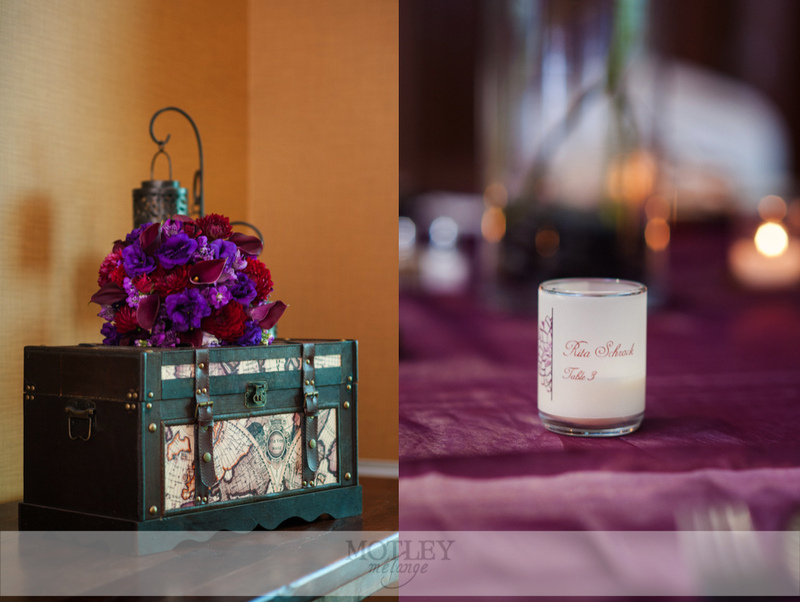 Dorrie and Brian put their heart and soul into choosing their locations, decorations, colors, and every other tiny detail; nothing was over looked! 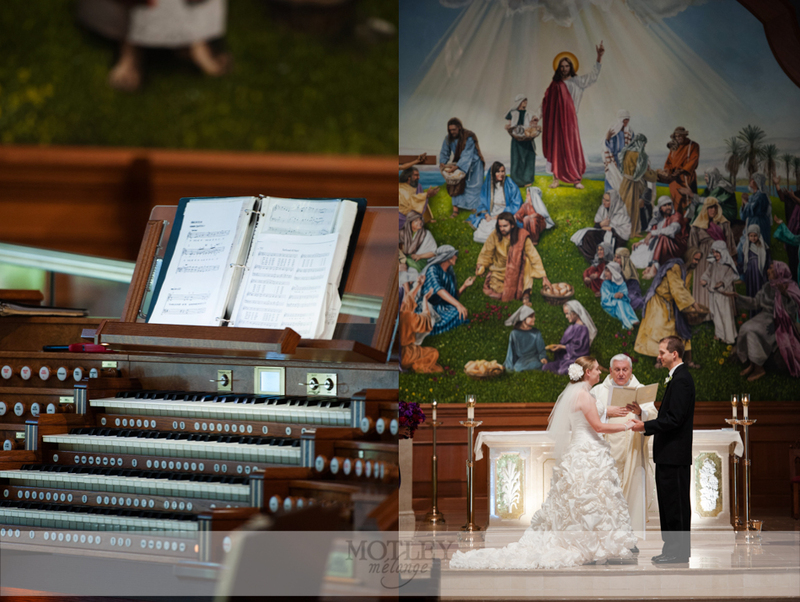 The also kicked off their reception with a trivia game entitled “We spent a lot of time planning the ceremony; we hope you were paying attention!” It was full of questions from the processional songs, the mural at the head of the church, the colors of their wedding, and the scriptures that were read (to name a few). 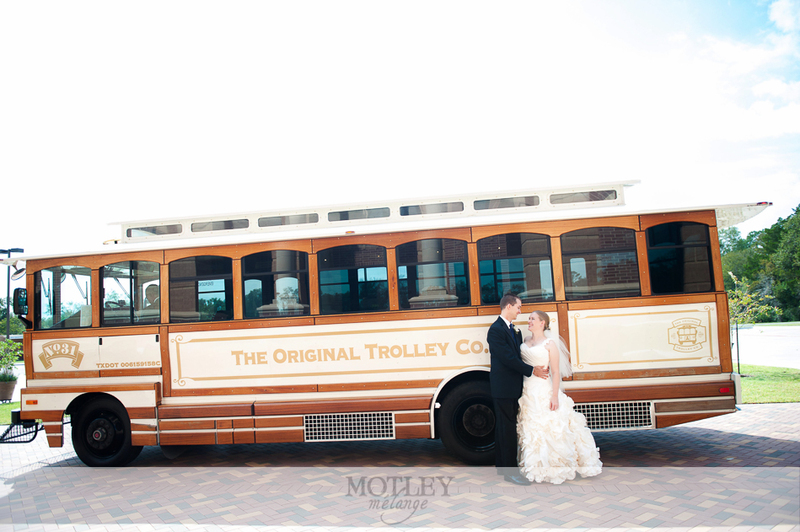 Their day was absolutely perfect from start to finish and we had a blast celebrating with their family and friends!